I am a Virginian who recently moved to Kenya. Providentially, I was invited to fix up Juja Farm, the house where Theodore Roosevelt stayed during his safari to Kenya in 1909, and later when he came here to write his autobiography. Though I never kept bees in Virginia, I watched as my g-grandfather did. And I learned from him to love the taste of honey in the comb – raw, unpasteurized honey goodness. 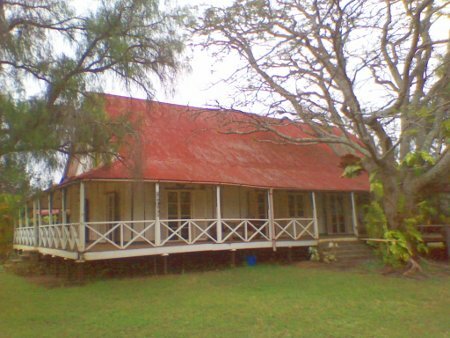 So, when I moved to this beautiful old house in Kenya, I found there were two hives of "killer bees" living in the house itself – one hive in the attic, and one in the kitchen wall. So every time I cook after dark (the sun always sets here at 6:30 pm sharp), some of the guard bees would be upset by the light being on and come out to buzz themselves to death against it. This constantly got me thinking about honey bees. By the way, "killer bees" just means that African honey bees are more likely to sting than European ones. They are still subject to the same methods of cultivation as European honey bees. This close proximity to bees got me thinking about honey, and so I mentioned this to the lease-holder on the farm, Matt Chancey, and he found a place on Ngong Road, the world's largest outdoor market, that makes Kenya Top Bar bee hives. For 300 bucks he got 13 hives made, three of which he gave to friends, and the rest he sent with me back to Juja farm. In Kenya the primary bee predator is the honey badger, a close relative of the skunk, who will tear apart a wooden beehive. So I set up the ten empty hives in the empty chicken house, hanging them about 5 feet off the ground with the holes facing outward so I could walk between them without offending the ladies. I was thinking we would need to find a bee dealer to buy a few queens, but four days after hanging the hives the first swarm moved in. A week later the second swarm moved in. The day that I write this, I notced a few of the ladies measuring for furniture in the third hive, and I think a third hive will be filled over the weekend. Having suddenly found myself in possession of two, going on three, bee hives, I Google 'bee keeping" to find out what the heck I'm supposed to do now. Mr. Bush advocates a chemical-free natural method of beekeeping using Kenya top-bar hives to allow the bees to build natural sized honey comb. Talk about a case of beginner's luck! I stumbled upon a method of bee keeping that Mr. Bush took 30 years to learn and fine tune through hard experience. I have two close friends in Virginia who keep bees, and I was aware of the problem with Varroa mites that have been wiping out the American bee population – requiring chemical treatments to keep the hives alive. But here in Kenya, and especially on this farm, the bees are thriving in spite of Varroa and the other parasites. Mr. Bush has explained on his website, as well as his new book, that Varroa mites, who lay their eggs in the brood cell of the bee larvae take longer to hatch than natural sized worker bees. Normal wild honey bees don't take as long as the fat ones grown on the oversized wax base commonly used in commercial beekeeping, so the Varroa mites that lay eggs in their brood cells are frustrated. But the British-American "more is better" bee keeping discovered a century ago that you can manipulate the size of the bee cells by providing them wax base impressed with larger diameter hexagonal cells. The bees will follow the pattern and build larger cells. While this provides a higher honey to wax ratio, it also results in substantially larger bees. And those bees take 1-2 days longer to pupate and hatch. But in Kenya where they use top-bar hives, the bees build natural comb, and the Varroa mites can only attack the drones ( who are naturally bigger and fatter ). So, on this property where miticide has never been used, there are many wild beehives, and now several under cultivation by the hand of man. If you have a yard, I recommend that you buy Mr. Bush's three volume book, The Practical Beekeeper, and get yourself a Kenya Top-Bar Beehive. That’s great info. 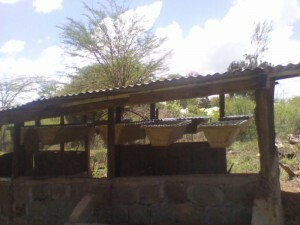 The Kenyan Top Bar hive is a great hive. I ordered a couple top bar hives from this link http://www.honeybeehabitat.com/BuyTopBarHives/tabid/175/Default.aspx They were an awesome price and extremely well constructed. Your learning about the Verroa is accurate. Another interesting item is that natural bee size is smaller than the commercial size, so the other mite – the trachael mite- has a harder time surviving in the smaller trachae of a natural bee. Have you decided how you’re going to extract your honey yet? I sent it to my friend Mr. Wick, the bee scientist.